Custom sharpened, professional grade shears/scissors for hair cutting and styling. Available in a 5.5" shear, 5.5" blender / thinner and a 6" chunker / blender. 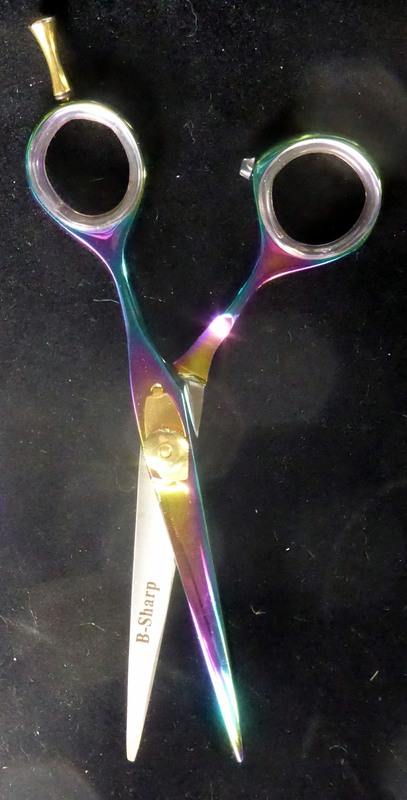 These multi color titanium coated shears are hardened steel for long life, come with soft finger rings, tapered silencers (bumpers), finger adjustable tension systems, smooth action and nicely balanced.